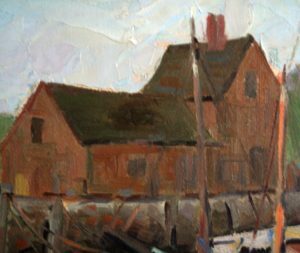 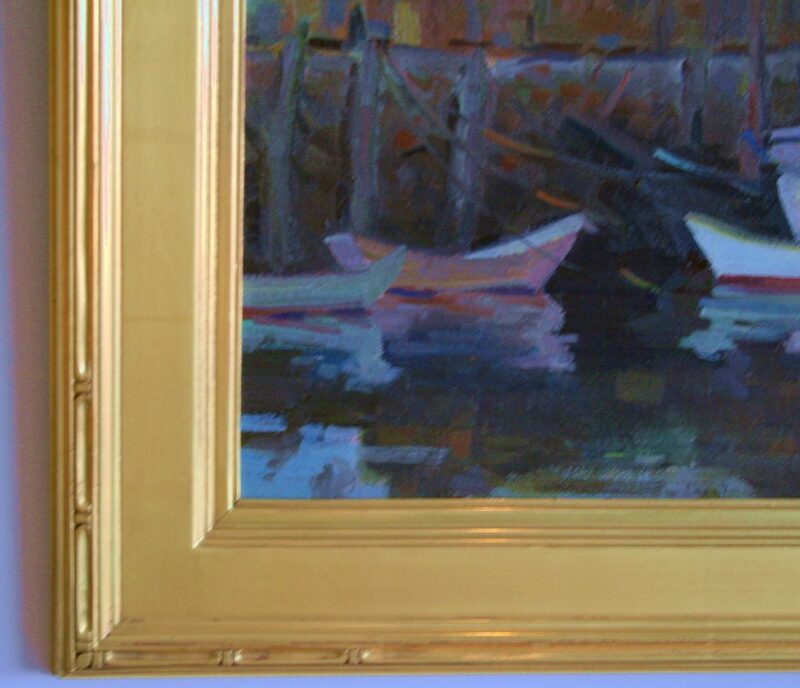 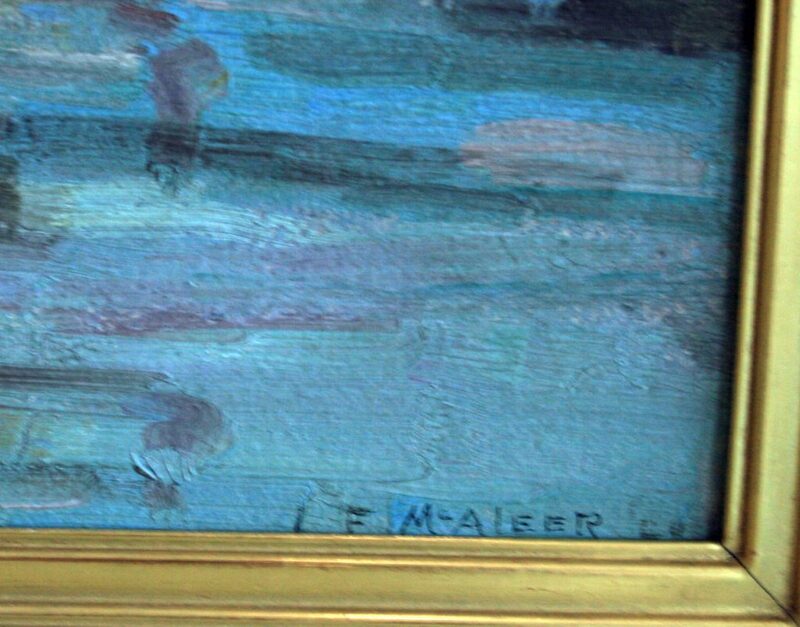 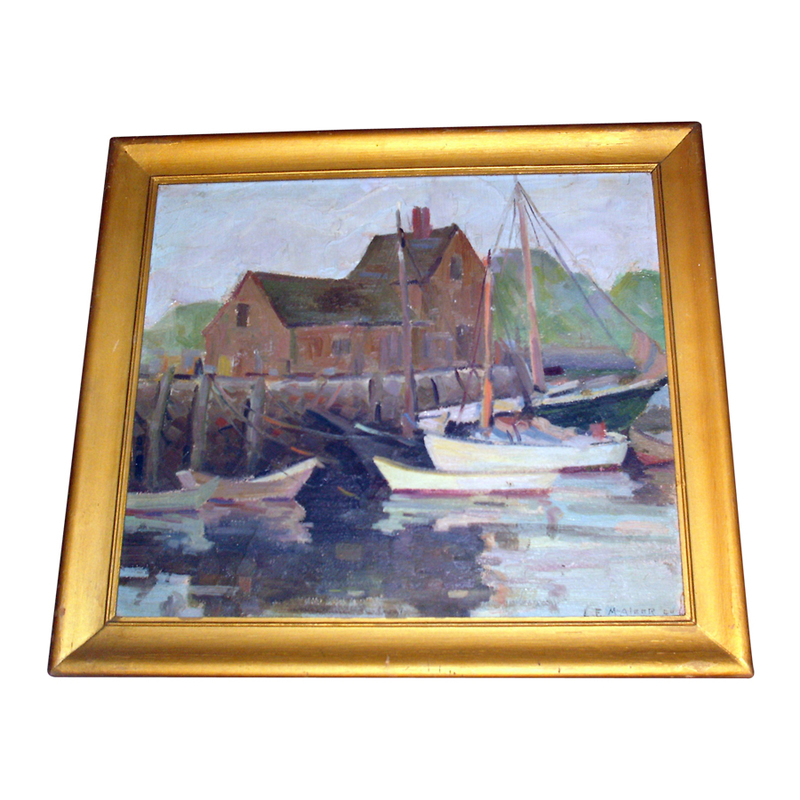 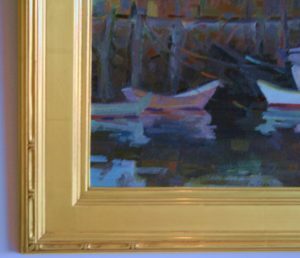 L. F. McAleer is an unknown artist but this fine oil on artist board is of the very well known Motif #1 in Rockport Massachusetts. 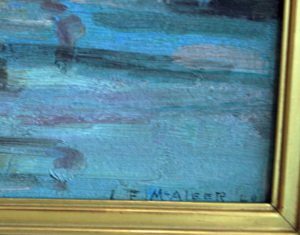 It is signed and dated in the lower right hand corner. 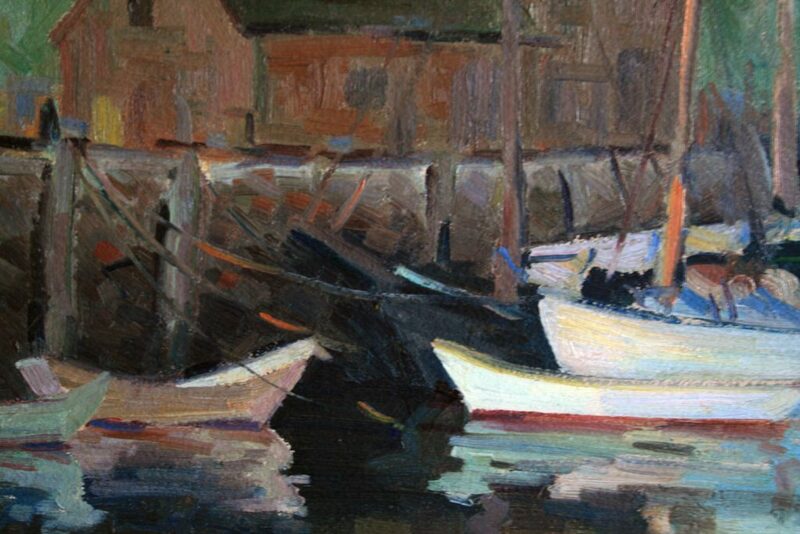 This work strongly suggests that he might have been a student of the Emile Gruppe school which produced so many fine talented marine artists at that time.